Qatar cruised to a 4-0 win at home against Maldives as the 2022 World Cup hosts continue to enjoy a five-point lead in Group C.
Boualem Khoukhi scored twice, and Qatar also received goals from Mohammed Kasola and Mohammed Musa. 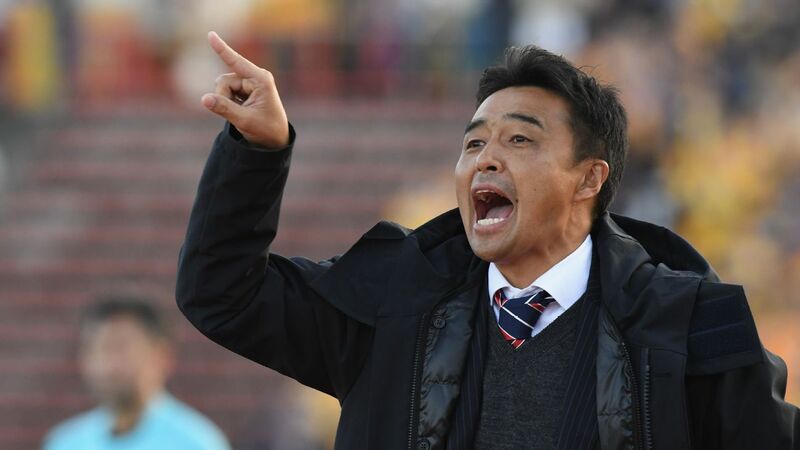 Hong Kong kept pace with a 1-0 win over minnows Bhutan, though they were made to wait until Siu Ki Chan's 89th-minute winner. In Group F, Thailand beat Vietnam 3-0 at Hanoi to move five points clear of Iraq, who have played a game less. Kroekrit Thaweekarn scored in the 29th minute, an own goal 10 minutes after the break by Dinh Tien Thanh made it 2-0, and captain Theeraton Bunmathan added a third in the 70th minute. Jordan maintained their lead in Group B with a 3-0 win at home over Tajikistan, Hamza Aldaradreh recording a brace and Hasan Abdel Fattah also scoring. Kyrgyzstan stayed in the Group B hunt with a 2-0 win at home over Bangladesh thanks to goals from Vitalij Lux and Ildar Amirov. Oman opened a three-point lead in Group D with a 3-0 win at India, who have lost all five of their qualifiers so far. Abdul Aziz Al Muqbali scored twice following Ahmed Al Mahajri's opener 10 minutes after half-time. After a flying start to their campaign, Guam stuttered again in a 1-0 loss at Turkmenistan, Guvanch Abylov scoring the only goal in the 16th minute. Despite playing all of the home games in Oman, Syria took the lead in Group E with a 5-2 win over Afghanistan as Osama Omari scored a hat trick and Mahmoud Al Mawas scored two more. Afghanistan had cut Syria's lead to 3-2 by the 78th minute through goals from Norlla Amiri and Faysal Shayesteh. Fazrul Nawaz scored to help Singapore to a third win in World Cup qualifying. Singapore won their third game of the campaign with a 2-1 victory at Cambodia after Faris Ramli and Fazrul Nawaz scored. Kuwait missed a chance to overtake South Korea for first place in Group G following a goalless draw at home with Lebanon. In the other game in Group G, Myanmar defeated Laos 3-1 with goals by Lam Mang Suan, Ko Ko Kyaw and Aung Thu. Mohd Amri Yahyah scored Malaysia earned their first win of the campaign with a 1-0 victory at winless Timor-Leste in Group A. The eight group winners and four best runners-up will advance to the last round of Asian qualifying. Asian giants Australia, Japan, South Korea, Iran and China were among the teams not playing on Tuesday.